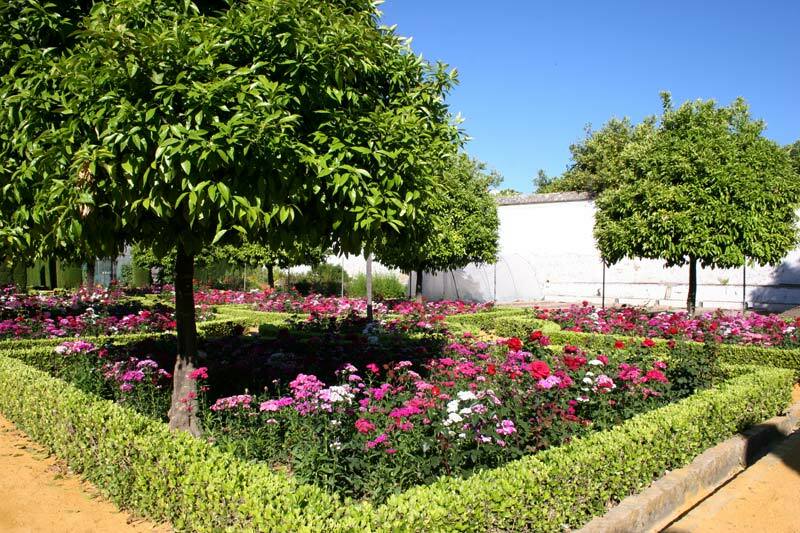 The fortress of Alcazar de los Reyes Cristianos and its gardens in Cordoba were used as a royal palace from 1328 for over 150 years. 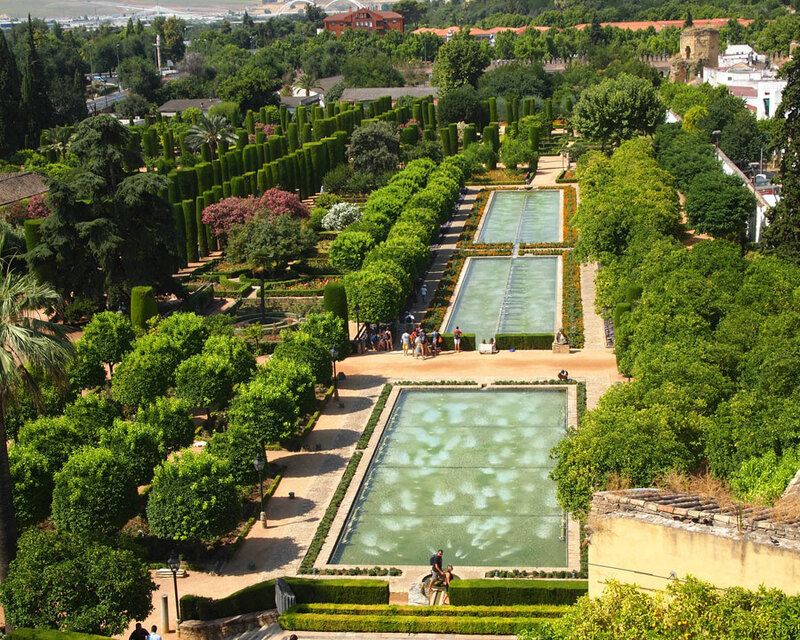 It was to the Alcazar that Columbus came to explain his plans to King Ferdinand and Queen Isabella. During the time of the Spanish Inquisition the buildings were used as a prison. 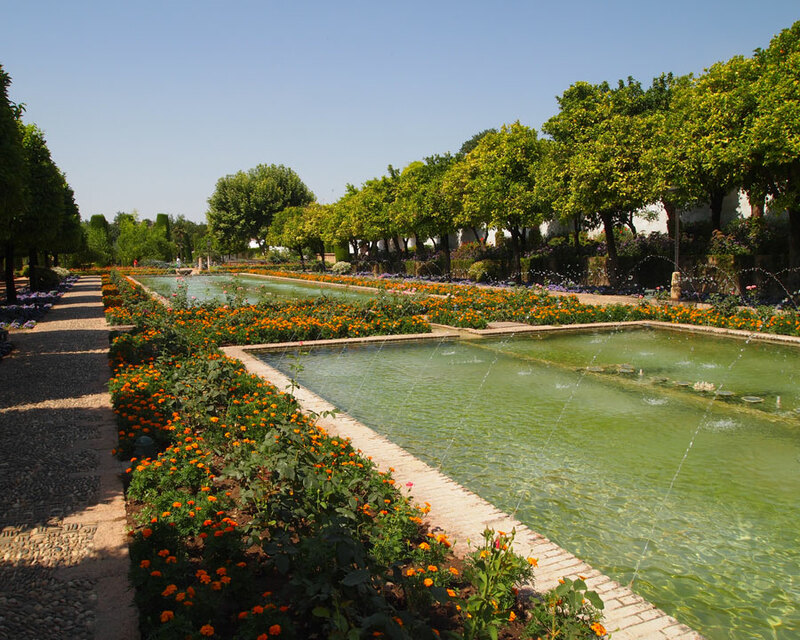 The gardens are the result of a huge transformation of the old orchards that previously covered over 55,000 square metres of land. 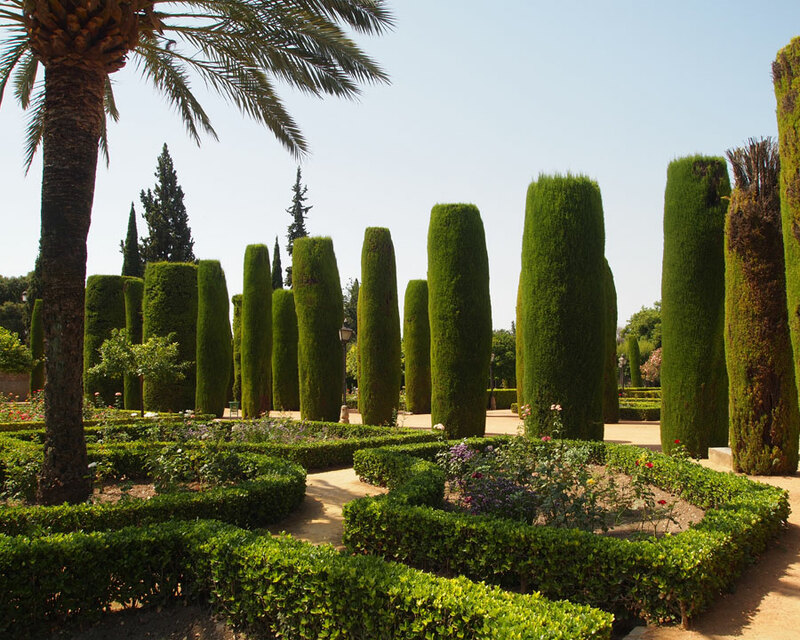 Today they contain wonderful examples of Moorish garden design with beautiful fountains, water features and well-cut hedges along with a wide array of mature trees and shrubs including palm, cypress, orange and lemon trees. 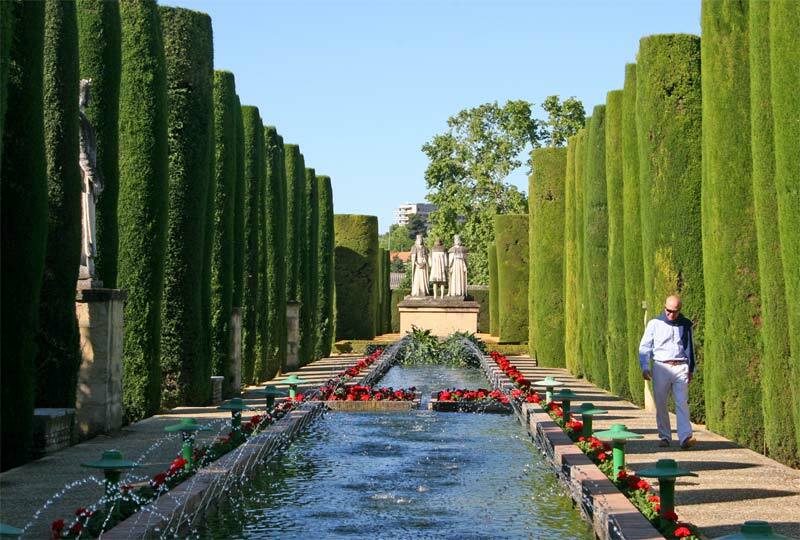 There are three levels - the upper, middle and lower gardens that all make inspiring and restful promenades on a warm day. 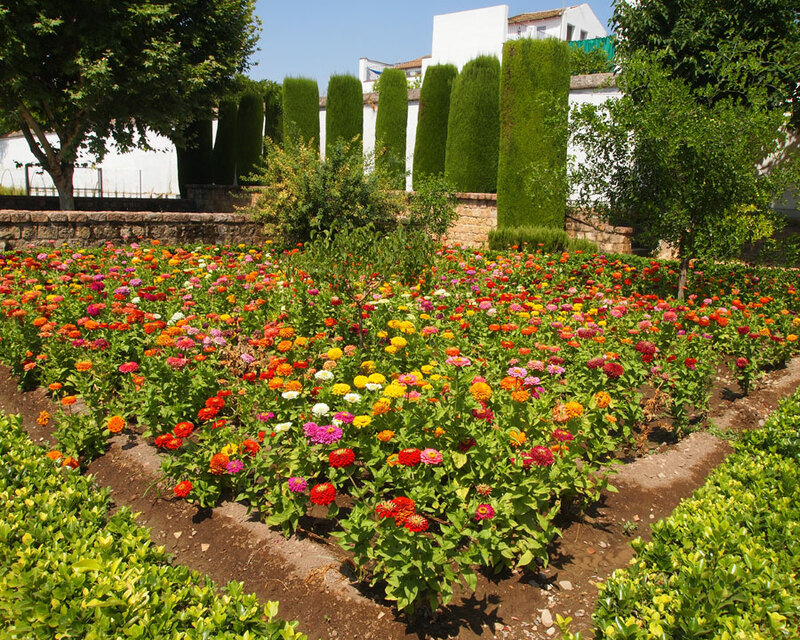 It is the artful combination of graphic lines, clean cut topiary hedges, refreshing water features and textural foliage that work so well in Moorish garden design - with this perhaps being one of the world's best examples. 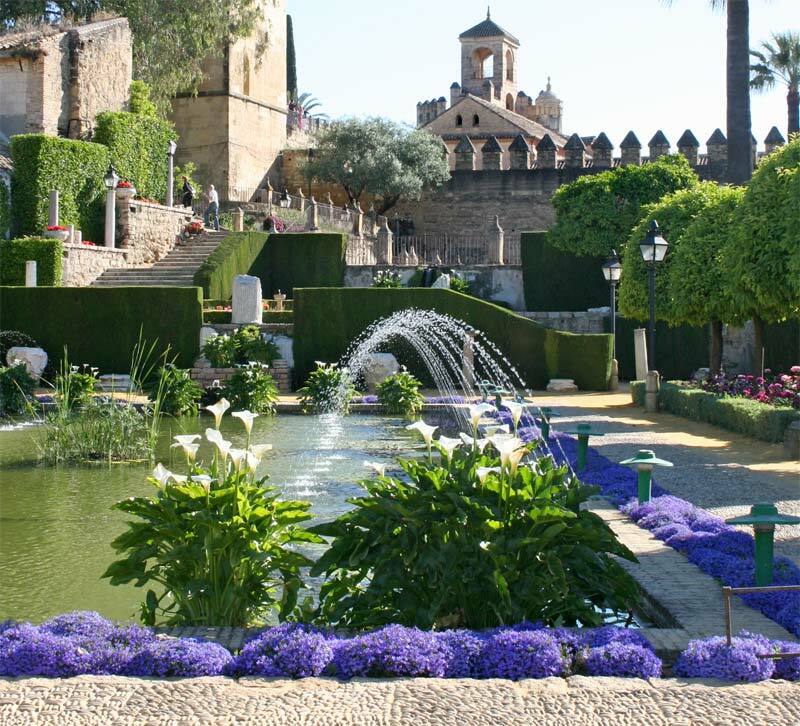 Visitors will notice a striking resemblance to the other great Moorish garden - being Granada's Generalife Gardens, but its not a matter of choosing only one to visit, if you are in southern Spain you really need to see both, you will come away all the richer for it. 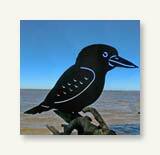 Details of special events, opening times and admission prices are available on the gardens website. 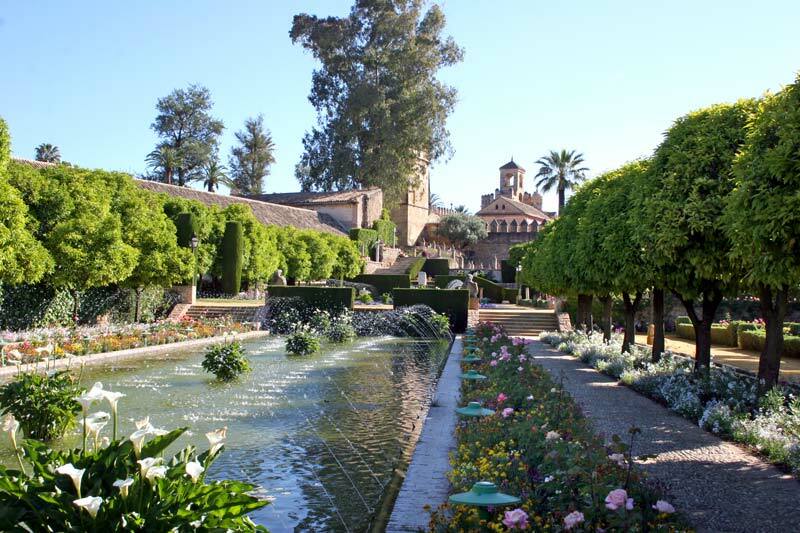 Anita - Boston, USA: After wandering around the old city of Cordoba it was a pure delight to find the castle and its gardens. 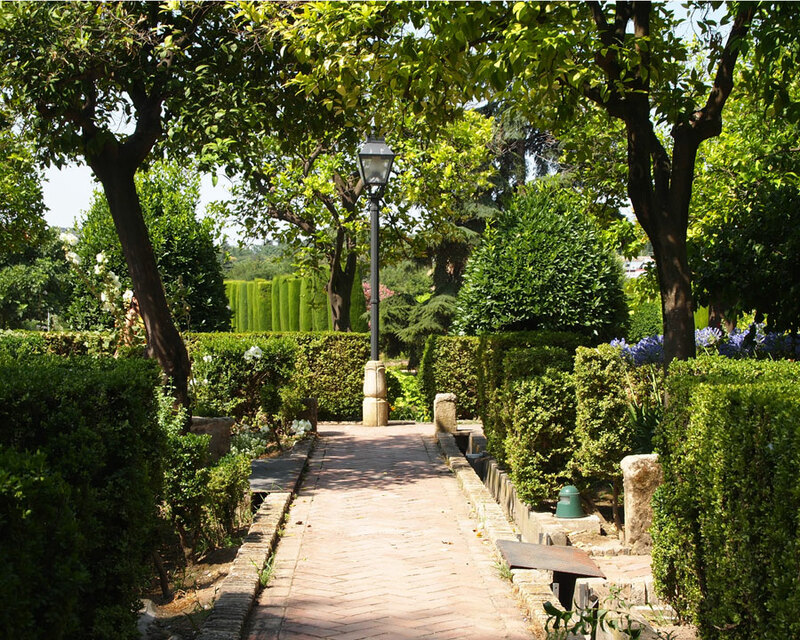 The use of water and shade was such a wonderful refuge from the searing heat of a Spanish summer. 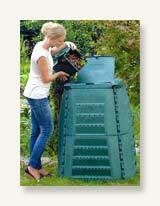 I'd also say that its a lovely garden full stop - regardless of wether you visit in summer or winter..